Seinfeld fans have been keeping busy. Just last month, we reported that a George Costanza-themed bar had opened up in Australia. Now, Mental Floss is reporting a fan-made Seinfeld video game is in the works. 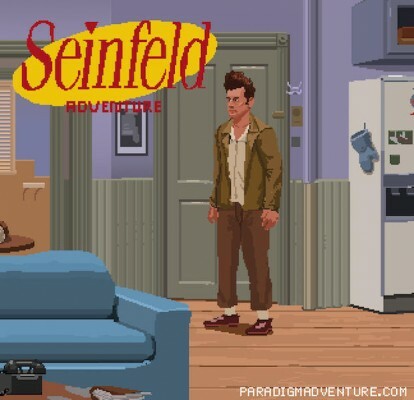 Titled Seinfeld Adventure, the game comes from Australian Jacob Janerka. It would be designed [in a] similar way [to LucasArts’] Day of the Tentacle, where you can control each character to help the other. Although in some episodes, like in the show, it might focus on one or more of the characters, and that’s who you would play primarily. What do you think? Are you a Seinfeld fan? Would you play Seinfeld Adventure? Which character would you play as?